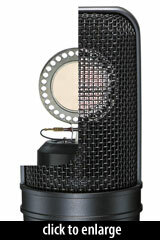 The AT4040 is a FET condenser microphone with a fixed cardioid pickup pattern and a low-noise, transformerless output circuit. The capsule is an edge-terminated design, with a 2-micron diaphragm. It is mounted within an “acoustically open” headbasket to minimize sound-muddying reflections. Although it is described in some literature as a “large diaphragm” capsule, its active diaphragm area measures only 20.4mm in diameter, falling short of the traditional 25mm cutoff for the “large” classification. The mic’s amplifier circuit is constructed with surface-mount components; according to Electronic Musician, it was the first Audio-Technica microphone to use surface-mount rather than through-hole construction. In tests, the 4040 gave me bright but smooth highs, flat or slightly scooped low mids, and solid lows beneath the scoop. These results are borne out by the mic’s frequency plot… Also notable were the mic’s exceptionally good transient response and relatively open cardioid pickup pattern. 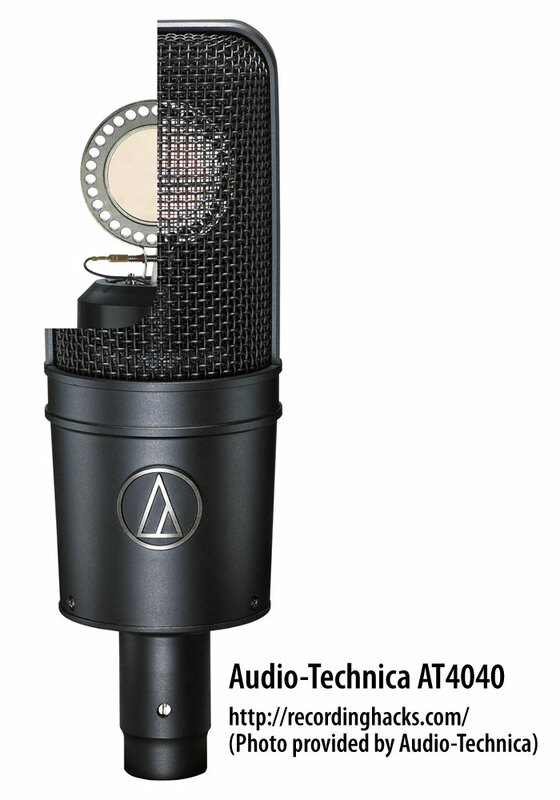 The Audio-Technica AT4040 is also known as: 4040.